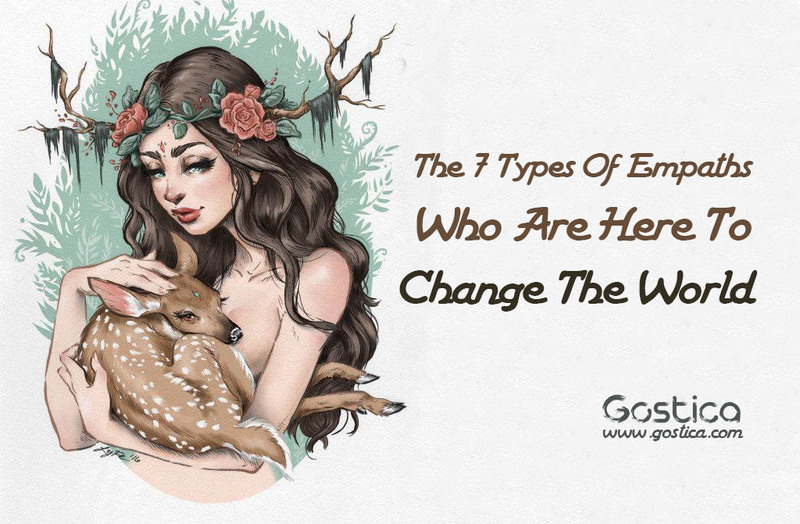 In this article, I’m going to share with you the different types of Empaths that exist in the world. A word to the wise, you can be more than one! The emotional empath can experience the emotions of others within their body. Many emotional empaths grow up in homes and actually experience and integrate the emotions of their parents and siblings and have no idea what is happening to them until they leave the home. Once they leave the home they see that all the times they were being too “sensitive” were really times where they were helping the family unit digest emotion. This is just a fancy way of saying that you are an empath that feels into the surroundings, nature, and physical landscape of a place. You can sense and feel the environments. You can feel what types of emotions were experienced in that environment. They will stream through your body. You will feel a calling to decorate your house with natural colors, plants, and stones. Things that remind you of your true home outdoors. Geomantic empaths can feel the collective energies of cities and locations. They use their abilities like a compass, directing them as to where to go and where to live. They a deeply familiar with the spirit of each plant and can easily build and form relationships with the plant’s spirit. For this reason, they make great shamans and healers. An animal empath is a person who feels deeply connected with animals. He/she knows what they need and can feel their thoughts and emotions. They usually end up working as veterinarians. Many animal empaths will feel called to work in shelters and will give their energy to help those animals heal and become whole again. This empath just has to look at a person or place their awareness on them and they will start downloading information about their life and past. They will know their habits, blockages, and lifestyle choices. This can be very overwhelming and if this empath doesn’t know how to distinguish between his/her own thoughts and emotions and those of others then he/she can find herself in many co-dependent relationships or getting caught up in business that they have no place in being. They mistake another person’s thoughts and emotions for their own. And then act them out. These empaths will also be able to read the subtext of a conversation. They will be aware of everything that is being said and will many of the times feel a need to shout out everything that no one is addressing. A Heyoka is a Native American term that means mirror. Heyokas are empaths that feel and sense the thoughts and emotions of others and then act them out in front of another person. They show the person all the unwanted aspects of the shadow of a person. In a sense, they’re very much like a guru because they come here to help others evolve and do so by playing a stage character for the other to see a reflection of themselves. Many empaths feel disadvantaged over their powers and abilities. This is only because they don’t know how to use their abilities AND protect themselves. 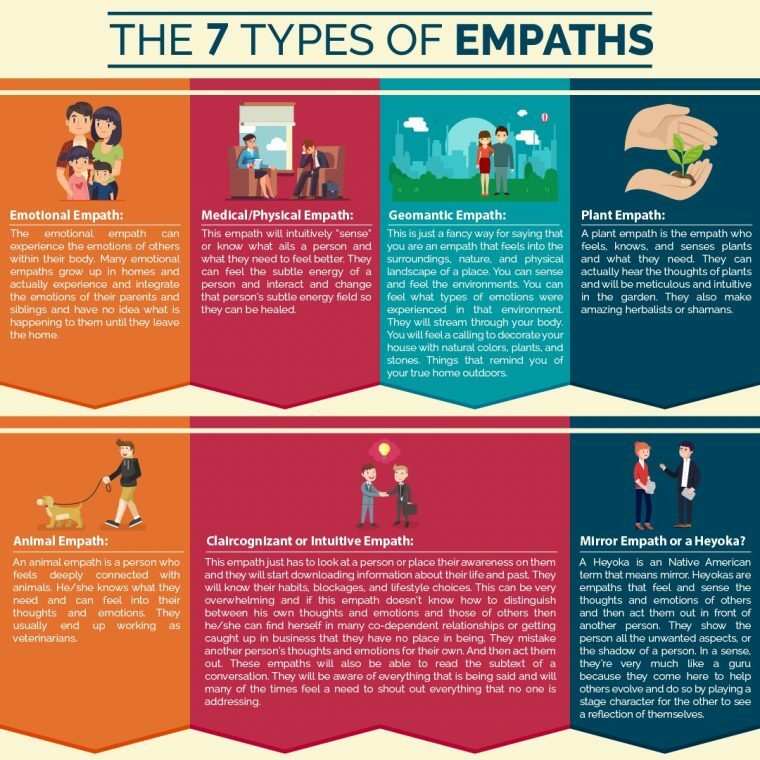 However, the empath has an amazing and unique ability to tap into the strengths and weaknesses of another person. While you may be feeling everything negative about the other person you can also feel the good and positive. In a world where many people feel so disconnected and confused the empath is a much-needed character. If an Empath steps into their true power then they know exactly what to say and when to say. Skilled empaths know how to bring out the best out of everyone so there is no reason to fear the negative energy of others. Simply, transmute through your words and actions! Brilliant article. Very informative – thank you!